While the Partners Model does not promote people being in leadership roles, even in the old days leaders emerged. It's part human nature and part necessity. In the modern Partners Model, there are some traditional leadership roles (mainly board members) but mostly the type of leadership that always happened before. As you might expect, the Partners type of leadership is still most important but it can't happen anymore without some traditional leadership. ​Some people like to pick from a menu and others just ask, "what can I do to help," At Pilot Butte, both opportunities exist and both can easily become forms of leadership. Leaders mostly emerge at Pilot Butte. Get involved in some way and don't be surprised if one day you realize you are leading something. Or come with the intention of leading something and that will probably happen too. It's all good. Probably most traditional is helping to steer a group. Notice we didn't say lead. The team approach works best but if you can help make things happen better, the team will want that. Less traditional is something like running the Century Club. That's always been one person who does it all. They are a leader in the sense that many people participate. The other categories have people working most of the year. On event days and at other times, we need people who are in charge of different things. A common issue is many people would rather follow than lead even though they are capable of leading. 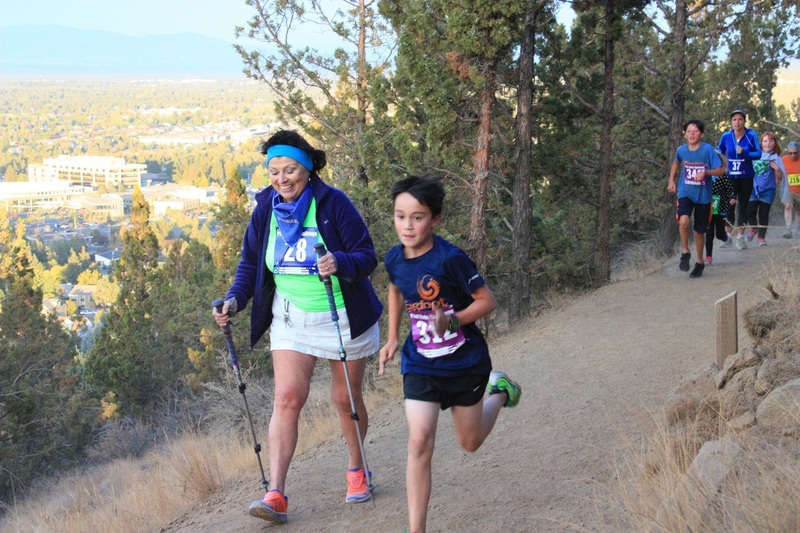 The 2016 Pilot Butte Challenge (PBC) had a lot of new elements and was a big success. What many don't know is there was a glitch with many of the volunteers. It's embarrassing but inspiring at the same time. The volunteers were so amazing that they filled in the gaps and made everything work. Not only that but they were generally happy to go the extra mile. This has always been one of the most loved volunteer opportunities. In 2016 we had some problems and almost everyone is saying they want to help again next year. Amazing! The 2016 Butte Thing was also a huge success accomplishing more than $5,000 worth of work on the park for just about $1,000. The process is starting now (October. 2016) with the Instagram Photography Contest that runs until the Butte Thing on April 22, 2017. The Butte Thing is now linked to the PBC as two fun events that do a lot for the park in their own ways. Money raised at the PBC funds the projects done at the Butte Thing. Money raised at the Butte Thing funds work in the park throughout the year. The 2016 Butte Thing was the first. We learned a lot and expect 2017 to be even better.